Mention that you volunteer at a homeless shelter or your local school or church, and the response is often, “That’s so wonderful you want to help others." 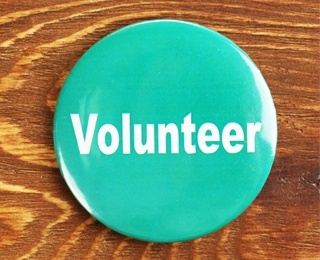 But most volunteers will quickly tell you that being able to share their time and talent is equally rewarding to them. Since 1974, the United States has observed National Volunteer Week as an opportunity to recognize the contributions of volunteers and encourage more activism. This year’s celebration, April 23-29, is upon us so let’s talk about volunteers. Older volunteers were more likely to volunteer mainly for religious organizations than were younger volunteers. Of volunteers age 65 and over, 43 percent served mainly through or for a religious organization. Collecting, preparing, distributing, or serving food was the activity volunteers performed most often (11 percent), followed by tutoring or teaching (9 percent), fundraising (9 percent), and engaging in general labor (9 percent). Residents at Kendal at Oberlin embrace volunteerism, giving their time and expertise to the nonprofit community and to many civic and community organizations, such as Second Harvest Food Bank and Oberlin City Schools. At Kendal, volunteers donated 2,120 hours in the Kendal Resale Shop, which supports the Residents Assistance Fund, and 99 hours in the Stephens Care Center. “Volunteering is a big part of Kendal because we do not have an activities director or social director. The residents all do the work to make things happen,” says resident Anne Elder. People’s lives have been transformed by the kindness of volunteers. They have taught children how to read and immigrants how to speak the English language. They have cooked meals and delivered food to struggling families, comforted those who are sick and lonely, and built health clinics and community centers for impoverished communities. A Carnegie Mellon University study found that adults over age 50 who volunteered on a regular basis were less likely to develop high blood pressure than non-volunteers. “It’s impossible for this study to prove that volunteering was directly responsible for the lower blood pressure readings. People who volunteer may be more likely to do other things, like eat a healthy diet or exercise, that lower blood pressure. But the results are in line with other findings on the topic,” writes Stephanie Watson, executive editor of the Harvard Women’s Health Watch. Older adults find additional benefits from intergenerational volunteering. Improved health, both physical and mental. Like many Kendal residents, Arlene and Larry Dunn have many friendships and informal relationships with Oberlin College students and young adults. “It keeps me feeling young,” Arlene says. Contact us to schedule a tour to discover the many ways Kendal at Oberlin residents and staff work to make this a better world.